WILL FRANCIS is a writer and commentator on technology and culture. He regularly appears in the media to share his expertise and opinions on how digital and social media are changing the world in which we live, often in unexpected ways. 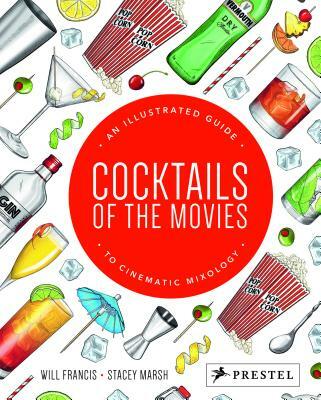 "Cocktails of the Movies celebrates our love for drinking in style. The book presents a selection of some of the most memorable film characters and their choice of drinks, along with a snappy lil’ synopsis of their life in drink. Along with a great illustration that will get you in the mood, the book presents easy-to-follow recipes that you can gladly try at home, as well as a history of the drink."